The number of barrels waiting to enter refineries in Texas and across the southern U.S. Is the lowest it has been since last November. As much as Texas wants to take the lead in supplying oil to the rest of the U.S., America still imports a hefty chunk of the petroleum it uses. And a lot of that foreign oil enters the U.S. via the Gulf of Mexico, headed to refineries in America’s southern-most states, including Texas. But as of late, the flow of foreign oil tankers is coming to a screeching halt. Matt Smith, energy analyst for ClipperData, says the reason for the dwindling supply of oil moving through the Gulf of Mexico boils down to four letters: OPEC. “We saw crude drawn down by nine million barrels over a two day period last week and essentially it’s just because of a lack of arrivals from the Middle East,” Smith says. Because OPEC has cut production recently, and because it takes about seven weeks for a VLCC – very large crude carrier – to make the trip from the Middle East to the Gulf of Mexico, we have seen fewer VLCCs arriving in the last week, Smith says. Last year, Smith says, the U.S. averaged about 21 million barrels waiting in the Gulf on any given day. He says this year that number has suddenly dropped. Over the weekend, however, that number rebounded a little (back to 20 million barrels waiting per day) due to arrivals from Venezuela. Can Beto O’Rourke Beat Ted Cruz? The Odds Are Long. Why Are Fewer People Losing Weight? Some Have Stopped Trying. 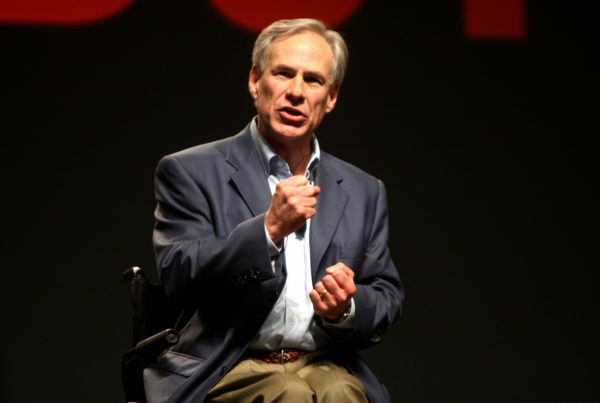 Why Is Greg Abbott So Quiet? Republicans Want The Governor To Take A Side, As Long As It’s Theirs.